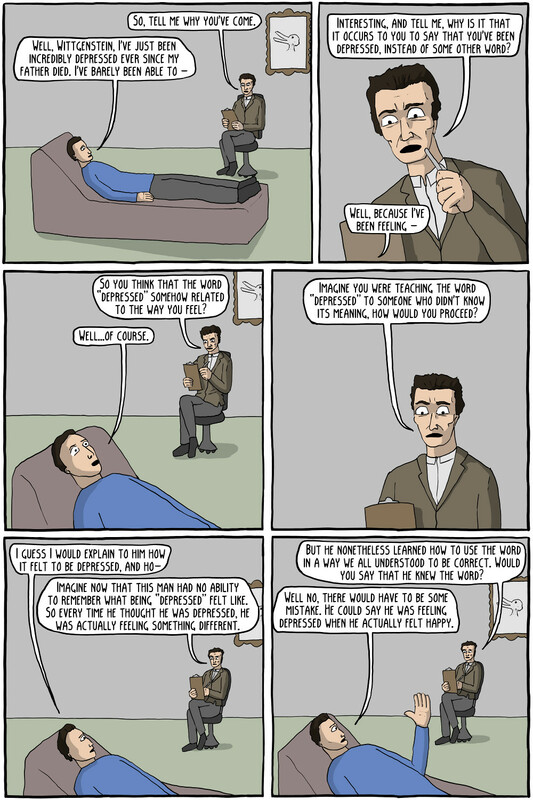 In Philosophical Investigations, Wittgenstein claimed that philosophy was a sort of "therapy". 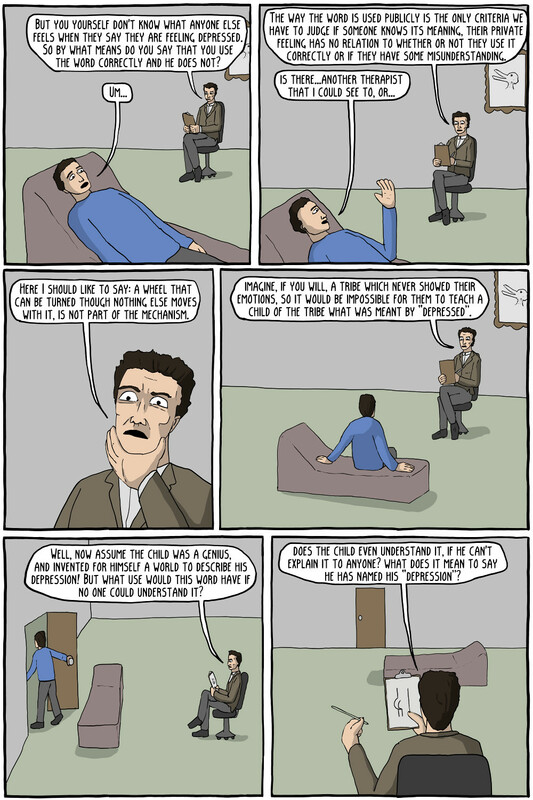 The content is based roughly on sections 240-280, where he discusses whether or not language reference private pains. Pyrrho was an ancient Greek philosopher, who conceived of skepticism as a kind of therapy. He thought that holding two ideas in our mind without deciding which was correct lead to a sort of peaceful tranquility. You might be wondering why I'm talking about Pyrrho, since he seemingly didn't appear in the comic. But really, you never know with Pyrrho.